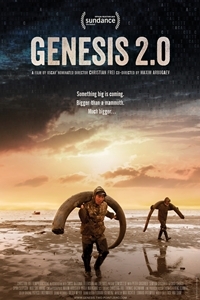 Description The film observes the harsh and dangerous life of so-called mammoth hunters on the remote New Siberian Islands in the far north of Siberia. The archaic landscape in which these people are looking for the tusks of extinct mammoths looks like primordial earth. There is a kind of gold rush fever in the air, because the prices for this white gold have never been so high. But the thawing permafrost unveils more than just precious ivory. Sometimes the hunters find an almost completely preserved mammoth carcass with fur, liquid blood and muscle tissue on which arctic foxes gnaw.Such finds are magnets for high-tech Russian and South Korean clone researchers in search of mammoth cells with the greatest possible degree of intact DNA. Their mission could be part of a science-fiction plot. They want to bring the extinct woolly mammoth back to life à la "Jurassic Park", and resurrect it as a species. And that's just the beginning. Worldwide, biologists are working on re-inventing life. They want to learn the language of nature and create life following the Lego principle. The goal of synthetic biology is to produce complete artificial biological systems. Man becomes the Creator.The resurrection of the mammoth is a first track and manifestation of this next great technological revolution. An exercise. A multi-million dollar game. The new technology may well turn the world as we know it completely on its head... and all of this has its origin in the unstoppably thawing permafrost at the extreme edge of Siberia.Genesis two point zero.